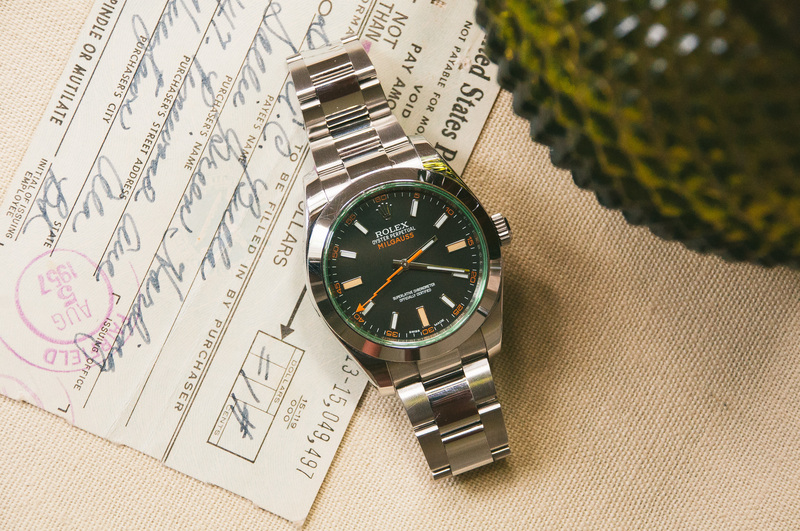 Rolex Milgauss Green Crystal 116400 V is an excellent choice as you adventure your way through life. A favorite of scientists around the world, the Rolex Milgauss was developed to withstand magnetic fields of up to 1,000 gauss. This particular Milgauss Rolex was released to market in 2010 and features a handsome green crystal with black dial and luminous markers (unique orange markers on the 3, 6, and 9 o'clock hour markers). 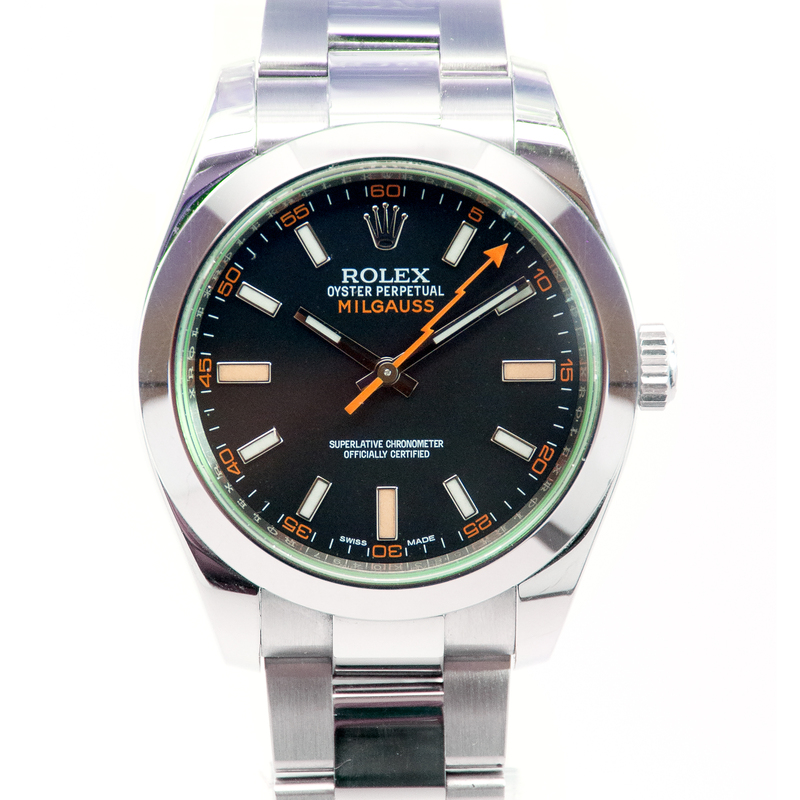 Additionally, the Rolex Milgauss is fitted with a handsome stainless steel Oyster bracelet. No matter how you spend your days, you can be sure that this Milgauss 116400 V will help you keep precise time and inspire those you meet. The Rolex Milgauss Price is contingent on its strong value, condition, and degree of rarity. If you are seeking a unique Rolex with a rich history, this Rolex Milgauss Green Crystal is an excellent selection!